Public Benefit Organisations, like religious institutions are tax exempt, but the South African revenue Services is taking steps to ensure they remain tax compliant when it comes to their alternative revenue streams. Tertius Troost, tax manager at Mazars, notes that in an effort for SARS to improve its revenue collection, it has made a number of changes. This includes establishing a unit to tackle the illicit economy and strengthening its ability to improve tax collection from existing avenues, Troost said. Troost clarified that this does not mean that SARS is going to start taxing churches. "Rather, SARS intends to make sure that all of the existing tax legislation directed at religious institutions and their employees are followed, and that everyone that is liable to pay tax is indeed paying their fair share," he said. According to SARS, religious institutions need to apply to have PBO status. 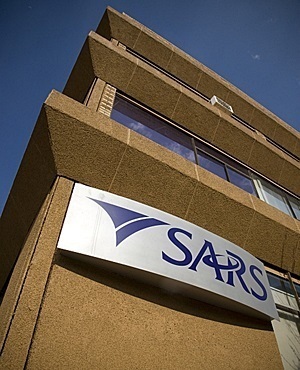 "Religious institutions that do not apply for, or do not receive PBO status, are fully taxable as any other entity," a SARS spokesperson said to Fin24 in an emailed response. PBOs qualify for certain tax concessions or exemptions. "These tax concessions relate to income tax and may include other exemptions such as Donations tax, Estate duty and Transfer duty - considered on a case by case basis," SARS said. PBOs are however liable for direct taxes such as Pay-As-You-Earn, applicable to their employees. Employees of religious institutions receiving salaries or fringe benefits such as housing, vehicles among other services are not exempt from paying tax, Troost said. PBOs do not have a full exemption on its income either. Some of these income tax payments arise when the trading or business activities fall outside exemption principles, SARS explained. An example would be a church's bookstore, which conducts sales for a profit. SARS is concerned about non-compliance across various industries, including religious institutions. Even as PBOs, religious institutions are not exempt from tax compliance audits, SARS clarified. Troost also highlighted that there are existing regulations which apply to PBOs, for example they cannot pay employees amounts deemed to be "excessive" to what is considered to be reasonable in the sector. He suggested if SARS found church employees to be paid unreasonably high salaries, then it could lead to the church losing its PBO status. "We believe that this is the first of many similar commitments that SARS will make across various business sectors as it starts to tighten up its systems and procedures for collecting the taxes that Treasury is due," he said. "This is a promising development as SARS begins to ensure that tax exemptions are indeed being utilised correctly and that all taxpayers contribute their fair share."